The St Vincent de Paul Society is challenging schools and their students to take a positive stand against poverty by helping us to rebuild lives. Across SA, the Society has over 3,000 members and volunteers who continue the vital work of visiting people in their homes, providing assistance and friendship. This year approximately 20,000 visits will be made to homes, nursing homes, hospitals and prisons. Did you know that in addition to running the well known Vinnies shops, our range of ‘good works’ extends to home visits, providing housing, supporting refugee and migrants, delivering meals through Fred’s Van services and a host of other activities that continue our mission. Read the Education Update 2018 to understand more about Vinnies and to see what others have done to raise awareness and funds, and how your school might get involved. Do not hesitate to contact Jayne Shortt, Schools and Community Engagement Officer to discuss how your school can engage with Vinnies. Vinnies School Sleepouts provide a unique insight into the complex issues that people experiencing homelessness face; issues often overlooked and misunderstood by the wider community. Vinnies School Sleepouts will provide you with an opportunity to gain a glimpse of what it is like to be homeless by ‘sleeping rough’ for one night. Your participation raises awareness of the realities facing people experiencing homelessness. Hosting an event allows you to fundraise for Vinnies and these funds will be used to assist Vinnies in providing vital services to help combat this issue. Our Mini Vinnies program is designed for primary school children. By connecting their beliefs and values with service activities and issues in their community, they can help to make their faith real, meaningful and relevant. High School Conferences are open to secondary level students. They offer students a range of benefits, outlined above, but they also offer benefits to schools. Conferences forge pathways to the wider community, foster greater awareness of social justice issues, provide publicity opportunities, help students develop leadership skills through fundraising projects, make a positive difference in the school community and provide pathways for graduating students to enter young adult conferences. Buddy Days are a one day activity, in which children aged 5-12 years participate in recreational or educational activities (such as sports days, craft days, movies, ice skating or swimming), and are generally held once per term. Participation in a Buddy Day is made via a referral from Vinnies Youth and/or a local St Vincent de Paul Society conference. Vinnies hold two appeals per year – winter and Christmas. The focus of the winter appeal focus is to collect warm clothing, blankets and canned food to be distrusted to the community. We can supply winter appeal posters which can be posted around the school to raise awareness of the campaign. Schools can hold a winter clothing, blanket and food drive and we can supply clothing bins and collect them at the conclusion of the event. The Christmas appeal focus is on collecting toys and vouchers to be distributed by Vinnies at Christmas to those who may otherwise miss out. Schools can have a wishing tree for students and staff to donate toys and non-perishable food and Christmas goodies for inclusion in Christmas hampers. Schools can have a white donation bin in the school on a permanent basis as a place for collection of clothing, blankets and household items. The bin is collected free of charge on a regular basis. Presentations can be done as workshops, at assemblies or to small groups or classes. Vinnies can also engage with school staff via staff meetings and professional development days. Home Visitation has remained the core work of the Society since 1865 and assists individuals and families in times of need through the provision of Emergency Relief Assistance. The Society's Assistance Line is the first point of contact for many people seeking assistance. If you have families in your school who require assistance please call our Call Centre on 1300 729 202 weekdays 9:00am to 1:00pm. There are 36 shops located across the states in both metropolitan and regional areas. The money raised by the sale of goods in the shops funds our work in the community. Located on Whitmore Square, the Vincentian Centre provides crisis accommodation for up to 49 men. Ozanam House is an ideal location to bring small class size groups for a presentation and is centrally located on Franklin Street in Adelaide’s CBD. Schools have been fantastic in raising awareness and funds for Vinnies. Here are just a few ideas of how schools can hold their own fundraising activities to help with much needed funds for Vinnies. 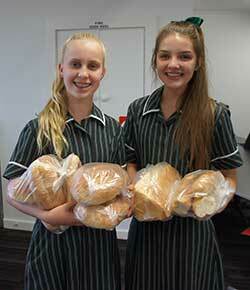 There is no limit to the ways schools can raise money for Vinnies. We would love to hear your ideas.